Hear better, perform better. Sennheiser monitoring systems are trusted by professionals worldwide and now are better than ever. Featuring an adaptive-diversity receiver, the receiver pack uses the headphone cable as a secondary antenna for flawless reception. Ear-canal phones, with various ear-fitting pads for an individual fit, reproduce the signal from the adaptive diversity receiver precisely and faithfully. Pass-through outputs allow easy splitting of the input signal to travel to other devices. 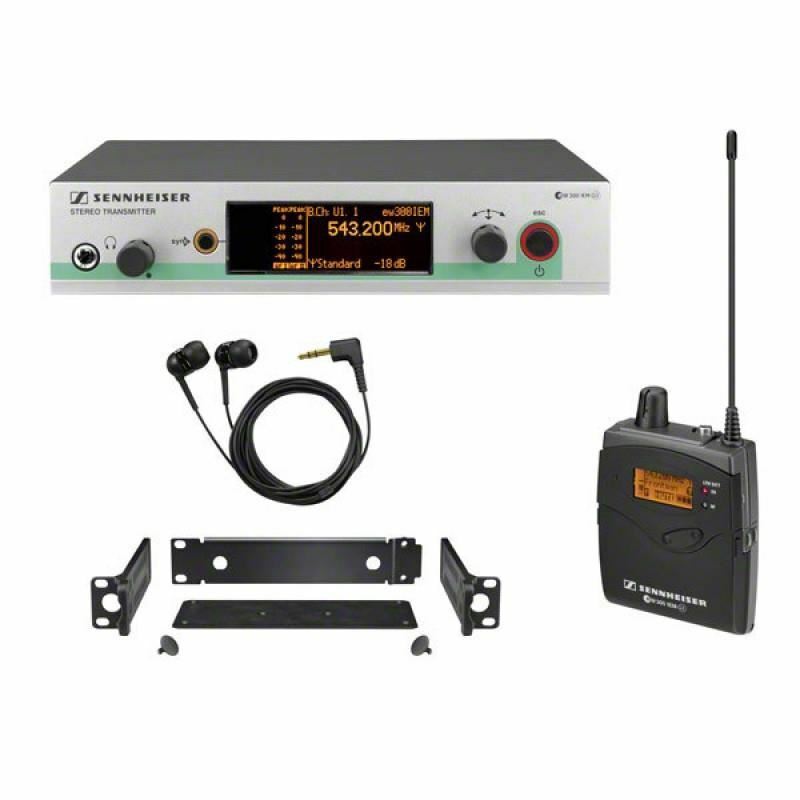 Lastly, the entire set can be monitored and remotely controlled with Sennheiser's "Wireless Systems Manager" software due to the built-in Ethernet port on the stereo transmitter. Bosch CCS 1000 D Control UnitsPlug-and-play functionality for quick and easy connection of up to 80 Discussion DevicesIntuitive web browser interface control for advanced configuration and controlBuilt‑in MP3 recorder with internal memory and USB recordingBuilt‑in Digital Acoustic Feedback Suppressi.. Audio Technica AE6100 Hypercardioid Dynamic Handheld MicrophoneThe Artist Elite AE6100 hypercardioid dynamic vocal microphone delivers clean articulation, fast transients and high-output, assertive sound for the uncompromising vocalist. With a polar pattern tailored for outstanding on-axis response,..
Bosch CCS 1000D Control Unit Recorder Plug-and-play functionality for quick and easy connection of up to 80 Discussion DevicesIntuitive web browser interface control for advanced configuration and controlBuilt‑in MP3 recorder with internal memory and USB recordingBuilt‑in Digital Acoustic Feedback ..